Sending big hugs your way Cindy, What a touching and loving tribute to your hubby. I can't imagine walking this path but I pray our Love will give you grace and mercy each day. 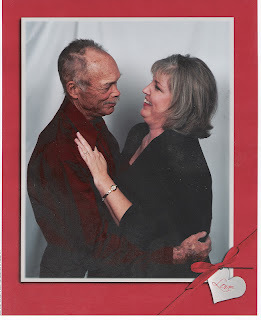 I bet both of our precious Valentines are fishing together in Heaven today! Beautiful post friend! I love you! Sweet Cindy, I can only imagine. I'm sorry you are separated from your Valentine, but I rejoice in the years you had together. Praising God that you will see him again one day.